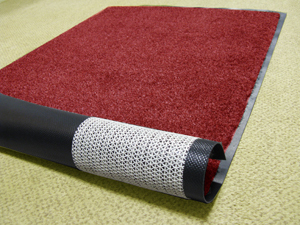 Waterhog Mat Grip Tape helps prevent waterhog entry mats from slipping & sliding, especially on carpeted floors. • This waterhog mat grip tape sticks to both the bottom of the mat and the top of the floor for improved traction. • When the sticky tape is removed, no residue is left behind on either the waterhog mats nor the flooring. • Waterhog grip tape is easy to install; simply peel & stick. Tape can be cut as needed with any pair of scissors. • Dimensions: 6" Wide x 25' Long per roll.